Vince Lombardi was a legendary coach. There’s no debating that. His record was 96 wins against 34 losses. He won six division championships, two conference championships and two Super Bowls. Because he so exemplifies the spirit of football and winning, the NFL named the Super Bowl trophy, the Vince Lombardi trophy. What were the keys to his success? Well, obviously, there were many including passion, a devotion to details, and an incredibly high standard of excellence. But one of the best things about the coach was his leadership, something sorely missing in today’s consensus-driven culture. And his leadership began every year the same way in the first moment the team was together. All the players were anticipating the encounter but coach never failed to strike fear into even the most veteran players. Coach Lombardi had this gnawing fear every year. Because his teams were so successful, every other team in the league would target the Green Bay game as their most important of the year. His fear was, his teams would take winning for granted. So, coach took nothing for granted. How often I would like to see fundamentals described at the beginning of every project. Sometimes in today’s culture, there’s so much “know-how”, so much pride in knowing and thinking you know, that the basics are missed; showing up on time to meetings, attention to detail, coding standards, respect for others, communication skills, email etiquette, manners, listening. Maraniss, David. 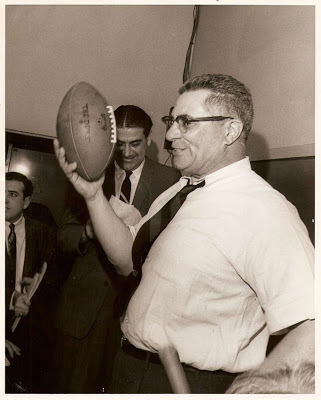 When Pride Still Mattered: A Life of Vince Lombardi. New York, NY: Simon & Schuster, 1999. 274. Print. Remembering history. Should we? What good is it anyways? The past is the past. How relevant is a world where technology was so weak, so non-integrated? Think about merely seven years ago. The iPhone was five months old, Twitter was barely on the horizon, much of what we consider intrinsic in our daily lives today was not really present at all. 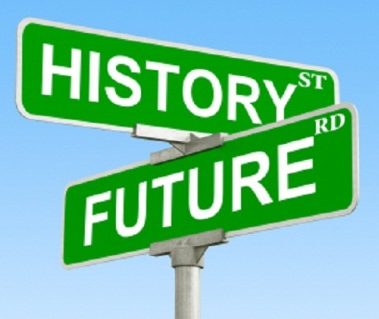 Many great innovators of the past have trumpeted a disdain for the study of history. Henry Ford said “History is more or less bunk. It’s tradition. We don’t want tradition. We want to live in the present, and the only history that is worth a tinker’s damn is the history we make today.” Napoleon said “History is a set of lies agreed upon.” So is a review of the past a worthy endeavor? Shouldn’t we be much more focused on the future? Would not the study of Mobility, Big Data, Cloud, Social Media and Clean Energy be a much wiser investment of our time? This certainly seems the pattern in our schools. In a recent survey by Newsweek, 73 percent couldn’t correctly say why we fought the Cold War, 44 percent were unable to define the Bill of Rights and 6 percent couldn’t even circle Independence Day on a calendar. And those are events of importance in our nation’s history. What about a student of technology? Why would it be important to dig into events such as the introduction of the Model A by Henry Ford in 1927 or the failure of IBM to react to Microsoft’s entry into the PC market in the early 1980’s? Necessity is the mother of invention. Do you feel blocked? Does it seem the path forward, the road most people travel just simply doesn’t exist for you? Join the crowd of those whose future wasn’t formed through passion or inspiration, but necessity and determination and perseverance. Consider the example of Josiah Wedgwood  the youngest son of a potter in England in the 1700s. Having suffered an attack of small pox at the age of eleven, Josiah’s right knee was permanently damaged, leaving him unable to work the potter’s wheel. But instead of abandoning the trade, he decided to focus his time on researching the craft of pottery. Concentrating on the scientific advances of his day, he was able to revolutionize, not only the practice of creating high quality pottery, but the approach to mass producing it. In fact, his craftsmanship was of such beauty and quality he began receiving orders from the highest levels of English royalty, most notably Queen Charlotte herself. Because of his efficient approach to mass production and mass distribution, he was able to create a factory system, build assembly lines and lower the price enough to create the first real world consumer market. By the late 1700’s fine china had become a common place addition to homes throughout England and America. Avoiding the same mistakes. This is a tough one obviously. If it were easy to avoid previous mistakes, we would always avoid them. But one of the ways we can recognize challenges ahead of time is to be a student of history. For example, why does it consistently seem to be true that “Dominant incumbent firms, long successful in an existing technology, are often much less successful in new technological eras.” This seems counter-intuitive. Incumbent firms would appear to have the advantage. They have the knowledge, the resources, the size, the capital. Why would they simply not be able to more effectively and easily move to a new market and opportunity as they occur? Two signature examples are IBM’s failure to capitalize on the personal computer market and Microsoft’s slow and late reaction to the widespread adoption of the Internet. Both Joseph Schumpeter and Clayton Christensen have much to say about this. Your understanding, your investigation of these and other historical examples could give you the ability to recognize when you’re in that same position and devise a sensible course of action. History repeats itself. Yup, this is the one at least everyone seems to agree with. Yet typically people cite simple examples; like New Coke or the Edsel. That’s all well and good but how about a macro perspective on technological eras and understanding where in the cycle we stand? Carlota Perez’s important book “Technological Revolutions and Financial Capital”  posits that “economic growth since the end of the eighteenth century has indeed gone through five distinct stages, associated with five successive technological revolutions.” She holds that these revolutions occur roughly every fifty years and that there is a distinct sequence of events that occur in each: technological revolution – financial bubble – collapse – golden age – political unrest. (page 5) Sound familiar? The current era, “The Age of Information and Telecommunications” began in 1971 with the introduction of the Intel microprocessor. When will the next era begin and how can we prepare for it? According to Perez, “The favorable conditions for the next revolution are created when the potential of the previous one approaches exhaustion.” (page 27). Are we there yet? What is the fundamental signature revolutionary event of the next era? Was it the development of Amazon Web Services that has made computing power and information accessible cheaply, dynamically and ubiquitously? Or is it the popularization of funding platforms like KickStarter that is leading to a new industrialization? Or is it something yet unforeseen on the horizon? The key takeaway here is, preparing for what’s coming is equal parts understanding the current landscape of emerging technology and business as well as knowing the fundamental dynamics of technology and business from the past. The most prescient people are grounded in both the future and the past. It’s a huge challenge to predict the future. Are you driven to know how it will play out? Do you hope to play a part, perhaps provide innovation and direction in some small (or big) way that influences the future? Fortunately, history provides a guide. It’s a textbook of proven methods and practices that are laid out for you in striking detail. Get to know your fellow innovators from the past and you will have a wonderful guidebook to the role you can play in shaping the future. Perez, Carlota. Technological Revolutions and Financial Capital: The Dynamics of Bubbles and Golden Ages. Cheltenham: Edward Elgar, 2003. Print. Being a technology consultant is a fabulous job. We’re brought in to amazing companies to understand their business models and, by applying technology solutions, we facilitate solving the challenges they face on a day to day basis. Many times the end result is almost like a “product.” We could be building a custom solution tying together legacy systems and applying new technologies and techniques but the end result is something we’ve built and delivered. Interestingly enough we’re often solving similar problems for different customers. This is fortuitous because the more frequently we solve similar problems, the more skilled we become at addressing those challenges. We become “experts” in the field. When credentializing ourselves to clients we point to the many solutions we’ve already built in the same business arena with the same or similar technology. But like Henry Ford in the early 1900’s, we’re still often doing it one project at a time. While we’re experts in the field and we can apply our experience and skill, we’re often repeating the same exercises over and over. Ford’s solution to this problem was the creation of the assembly line which allowed the cost of a Model T to fall from $850 in 1909  to $260 in 1924 . Wouldn’t it be great if we applied some of the same principles to building our digital solutions, a digital factory if you will? The end result would be quicker delivery at a more competitive price point. This requires some investment up front to be sure and thoughtful leadership but the end result is a win-win for everyone involved. It offers faster implementation of a technology solution which is a far more efficient use of your consultants and it puts your firm at a more competitive price point. The key is to ensure you’re addressing the sweet spot for a market solution when you develop your model. If you follow this pattern you’ll have laid the groundwork for developing an accelerated start to the project and you’ll have a promising story to tell your client right from the beginning. “Ford Model T.” Wikipedia. Wikimedia Foundation, 26 Apr. 2013. Web. 27 Apr. “The Model T Put the World on Wheels.” Ford Motor Company – Official Global Ford Corporate Information . N.p., n.d. Web. 27 Apr. 2013. http://corporate.ford.com/our-company/heritage/heritage-news-detail/672-model-t.
Do you ever get the sense that things are getting a little stale? That, while you’re personally doing great work, it’s just not as compelling, as rewarding, as forward-thinking as you wished? It’s not that you’re not delivering quality, it’s not that you’re not being effective in the solutions you’re building, it’s just that you’ve been doing it that way for a long while and there’s this nagging idea that you’re missing out. It’s not that you just want to jump on the latest fad so you’ll feel “cool.” It’s just that you’re getting the sense that your organization is missing the boat, that there’s something coming in the future that really needs the groundwork laid now. You and your organization may be suffering from Innovation Debt. In the software development world, there is an important concept called “technical debt.” As I mentioned earlier in this post, there’s a similar concept at a company level I’ve termed “innovation debt.” It’s far more than just a technical issue and it’s certainly not just about software development. It’s about your organization as a whole and where they stand on the innovation continuum. If you’re not innovating, you will be incurring innovation debt. Essentially, Innovation Debt is the cost you’ll be accumulating if you’re not investing in creating and building compelling and distinct solutions and competencies that don’t just tap into existing best practices but that are constantly looking ahead for what’s next, for the emerging technologies, techniques and practices that will have your company on the front edge of growth and innovation. Companies are sometimes fearful of “innovation” because the tangible benefits can be hard to quantify. Too often they ask the question, “What’s the cost of investing in new and distinctive (innovation) practices and competencies?” But they should be asking, “What’s the cost of not investing in new and distinctive (innovation) practices and competencies?” If you’re not innovating, the cost is the innovation debt you’ll be accumulating. And like any debt, you’ll have to start making interest payments. Rather than paying that interest and then paying that debt, you can make an investment in innovation and start reaping the rewards in the following fifteen ways. Position; Market leaders are always market innovators; Apple, Google, Coca Cola, Cisco, Amazon, Starbucks, Disney, BMW, UPS, Intel, GE, Nike, PG&E, Samsung, eBay. Add your company to that list! Look at the companies that are devoted to innovation. It’s a pretty impressive list; Apple, Google, Coca Cola, Cisco, Amazon, Starbucks, Disney, BMW, UPS, Intel, GE, Nike, PG&E, Samsung, eBay. Read the histories of these companies. You can’t help but be overwhelmed by the breadth of their research, their innovation, the wide range of their explorations, the kinds of things that naturally recur from these efforts; conversations, ideas, excitement, growth, passion, success. It’s overwhelming. They deliberately nurture their corporate intellect through true education and innovation; a constant commitment to experimentation, and not just light and peripheral experiments but substantive experiments, purposefully setting their course on a culture of innovation. Compromising on Innovation may compromise everything your organization hopes to build for your owners, your employees and your customers. Are you investing in innovation or incurring innovation debt? How do you get corporate leaders to embrace new trends in technology like the Cloud or Big Data? How do you get the executive stack to think strategically around new technology? How must leaders lead so that appropriate innovation is a normative corporate value? The answer is to develop the skill of vision sharing. Sharing your vision about transformational technology in a way that causes people to embrace that vision is the key leadership skill to harness. Yes, astutely laying out the technical particulars is important but it doesn’t often win the day. Can your leaders share their vision in a way that motivates people to embrace the advantages of the new technology? Or will your people react to the shared vision by anchoring themselves in the present because change threatens their comfort and security? 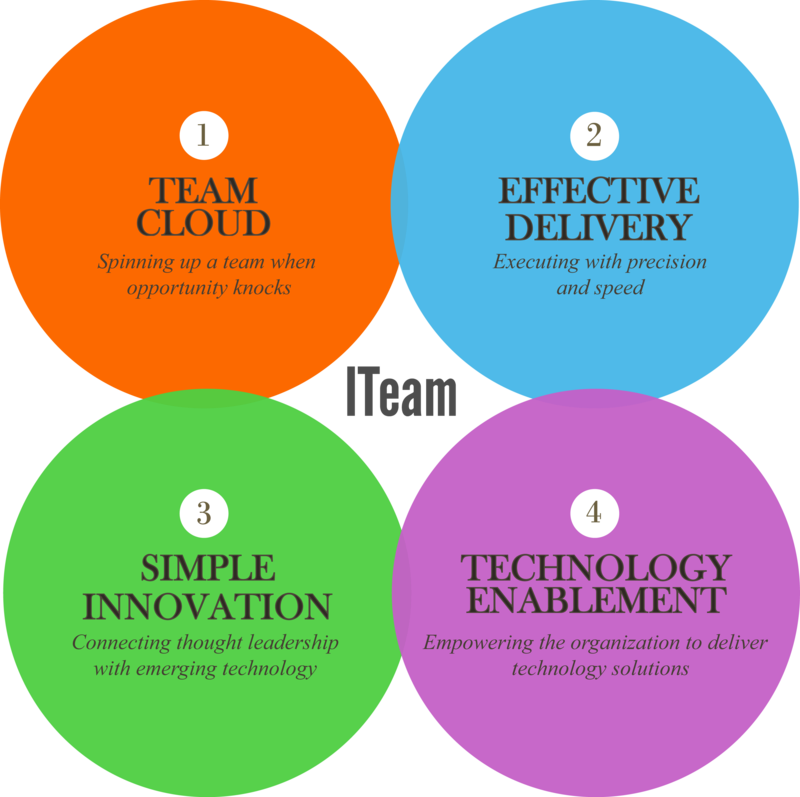 In most companies, people have built up their teams around existing processes, technologies, structures and capabilities. New technology is threatening. It threatens people’s existing fiefdoms and it threatens their perception of their own success. But success based on existing technology can’t sustain itself long term. Your competitors are not sitting still and the new kids on the block are there because they’re making hay with the new technology. Leaders must realize that the technology they have today and the processes they have today will not continue to serve them equally in the future. If your current leadership is sitting on their hands, if they’re not understanding both the existing profit model but also the technology needed for the future profit model, you have the wrong leader mentality. 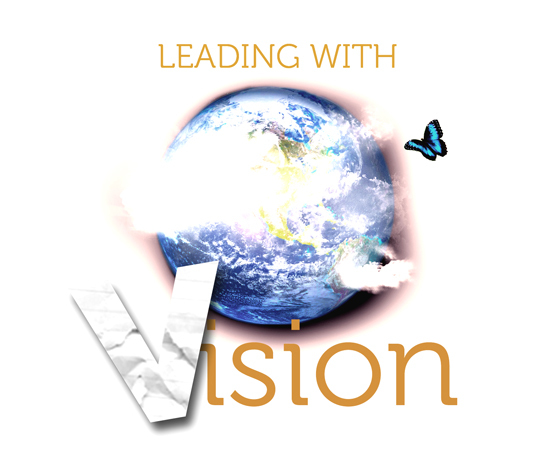 You need to groom or hire visionary leaders, people who are capable of sharing a vision, of inspiring a team of people, not just with existing capabilities and doing more, better, faster, but with utilizing new technology, new capabilities, new processes. But vision sharing is risky, especially by technologists. It’s common for brilliant technologists to get pushed aside just because they shared a bigger vision. And that vision scared or threatened people who were more interested in maintaining the status quo, who were more interested in self-preservation, who are more comfortable with the familiar. You need to build teams that are capable of sharing visions and embracing visions. Your leaders also need to understand the contrast between reformation and revolution. In short, the status quo must consistently be challenged. If you don’t embrace perpetual reformation, you’re headed for revolution instead. Reformation means regularly evaluating, addressing challenges within the organization, looking at new ways of thinking and new technology to keep the organization moving forward. Revolution means you’ve hit a crisis, you need a major overhaul to compete and even to survive. Revolutions are rarely safe and comfortable. Vision sharing involves getting the teams together and helping people understand the outcomes of new major initiatives and understanding why these outcomes are a positive event for them and their teams. The outcomes are coming anyways. You can either embrace change now as you consistently reform your systems and your approach, or you can suffer the effects of a revolution as you and your entire team feel the effects as wholesale change is initiated. We can think of examples in the past of emerging technology that was embraced slowly. The LAN, SOA, the web, mobile. Today technologies that come to mind are the Cloud, Big Data and Social Media. These are technologies that have documented positive impact. Even if people are protecting their fiefdoms, the change will come eventually. Take the case of Big Data. Of course the relational database zealots will come out in force against it. It’s not comfortable, it’s not secure, it’s not familiar, it’s not “how we do things.” But you know and I know that they’re going to lose that battle eventually. In forward thinking organizations, that’s going to be sooner rather than later. The message here is that your leaders can’t just be good at technology. They need to be good at sharing their vision forthrightly and effectively and in a way where people passionately embrace that vision. This is not easy if they come up against entrenched forces that perceive new technology as a threat. The real key is to build a team of people that are not only eager to work together, but who understand that innovation and transformation are a regular part of the rhythm of the organization. The leadership challenge then, is to create a culture that embraces change, innovation, reformation and transformation. Better that than a slow hedge against the future where a revolt becomes necessary to get back in the game and make up for lost time. This post borrows greatly from a brief discussion by Chris Dailey from the Cloud Computing Podcast, Dailey, Chris, and David Linthicum. “Changing Corporate Strategy with the Cloud.” Cloud Computing Podcast. N.p., 10 Sept. 2012. Web. 10 Feb. 2013. http://cloudcomputingpodcast.libsyn.com/i-have-a-cloud-and-i-m-not-afraid-to-use-it.